Weight loss shakes, also referred to as meal replacement products have grown in popularity in the recent years. They are commonly marketed as best recipes to help lose weight in very short durations of time. But are they really effective? The science behind the weight loss shakes is simple. Rather than eat a big plate full of food, the weight loss shake provides the appropriate nutrients and calories your body needs to function. The shake can turn an unhealthy meal into a healthy one. What is in a healthy shake? Many companies produce protein powders to be added to shakes and drinks for weight loss. For example, when cheese is being manufactured, various by-products are collected from the process. The by-products, for example, whey, are very rich in proteins. The by-products are then processed into powder, flavored, and packaged as meal replacement protein shakes. Other top protein shakes are also manufactured from soy. EAS is a company with a line of protein powder. The average amount of protein in their whey powder is about 26 grams. The daily recommended limit is 56 grams for the average, sedentary man, 46 grams for the average, sedentary woman. 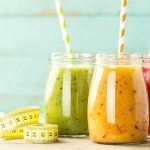 Are weight loss shakes ideal for women? It is advised that your daily intake of proteins does not exceed .08 grams of protein per kilogram or .36 per pound. Women and men should monitor their physical activity and talk to their doctor about the correct protein intake for their bodies. Protein shakes for weight loss are ideal for women as much as they are for men. But it is slightly different for women. The fact is that women store fat differently than men. For this reason, it is important that they take the right amount of proteins available in protein shakes for weight loss. 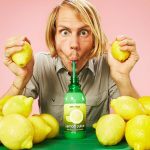 Do weight loss shakes work and how healthy are they? You will get almost the same results from drinking healthy shakes as if you were to replace eat your protein at your regular meal. The benefit of weight loss shakes is that they are easy to make and take with you. Protein shakes for weight loss can be very effective. However, these recipes cannot be solely depended on. They work best when used as a jump-start to the overall goal of losing weight. For example, using EAS protein for a period of about four weeks will return results which would probably have taken eight weeks to be achieved on gym classes alone. As I said earlier, you still will have to look for ways to keep the weight off after hitting your goal. 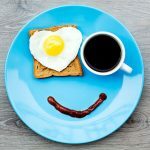 In any case, there are always situations where you have no choice but to eat foods rich in calories. Should healthy people take protein shakes for weight loss? 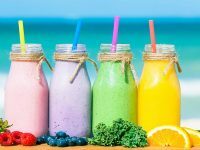 An individual’s definition of ‘healthy’ will effectively determine if they are in need of protein shakes for losing weight. For some people, being healthy is all about being physically fit. For others, it is about being free from illnesses. For those who think being healthy is staying within the recommended BMI index, protein shakes are ideal for them. It is a fact that protein shakes also help boost ones’ health. They not only help in replacing dead cells but are also essential in boosting the immune system. 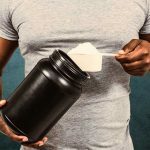 The first group of individuals best suited for protein shakes are ones aiming to lose a portion of their current weight. Shakes can produce very desirable results for athletes. They help keep their weight in check and also act as an alternative source of energy. Individuals who have a low tolerance for lactose are good candidates for protein shakes. For example, EAS protein shakes are rich in whey, a by-product of the cheese making process. The amount of lactose in whey is very low, so a lactose sensitive/intolerant person might be able to get protein from whey powder. Protein shakes also act as a healthy meal for infants and people suffering from asthma, certain types of cancers, obesity, or allergies. Top protein shakes contain a compound referred to as Glutathione (GSH). Often, people with HIV suffer from a Glutathione deficiency and GSH protein may be able to help. Protein shakes for weight loss are meant to act as an alternative source of energy and satisfaction. The main idea behind them is to control the number of calories consumed by an individual. Some people prefer to take take a meal of protein shakes before and after a physical exercise. Drinking protein shakes helps your muscles during and after a workout. Note that protein shakes readily produce a feeling of fullness. This means that it will be less likely to reach for other sources of energy that could contain fat. What is the best way to lose weight: weight loss shakes or exercising? It is healthier and recommendable to lose weight through dietary management and scheduled workouts. However, this doesn’t always work for everyone. This is when weight loss shakes come into play. A meal rich in proteins will be of no big difference with protein shakes. However, it is likely that you will include some sugar rich foods in the same diet. 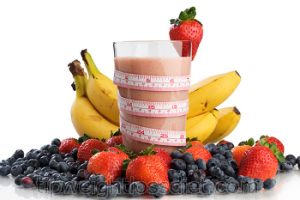 The excess of calories and harmful sugars can be avoided with protein shakes for weight loss. The best way to go about it is to combine the shakes and exercise. Let the physical exercises you are doing be accompanied by healthy protein shakes. 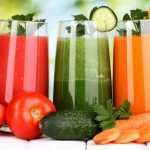 In fact, you can even come up with very effective plans for homemade weight loss shakes recipes. However, you need to be careful of putting sugar into your homemade weight loss shake recipes. Which is the best protein shakes for weight loss? 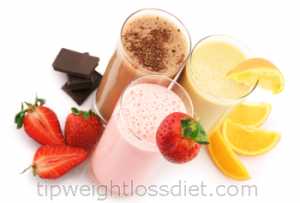 There are many options to choose from when it comes to weight loss shakes. It mostly depends on the situation you are in. Your doctor may specifically prescribe specific brands of protein shakes. It may also happen that you like a particular flavor. It is a very effective strategy to manage your weight. This is bearing in mind that even non-obese individuals too can make use of them. Top weight loss shakes include important antioxidants and vitamins in their recipes. They are more convenient to use than whole meals. They help get rid of lengthy meal prep and cooking time. It is possible and advisable to use protein shakes for weight loss alongside other weight management strategies. This is important bearing in mind that even after using protein shakes, it is likely that the weight lost will be gained back. Users are free to choose on the specific flavors they desire their protein shakes to come in.